FL335i had the most liked content! so far so good on our '19. I'm loving it. Everything I griped about my '14 K2XX appears to be addressed. Now if I can convince the wife to drive a 10yr old Rav4 and take her Z71 tahoe.... slim. Kylerbr1- You just confirmed what I was thinking when I had it apart. I was going to buy shims to re-shim the gears but the differential shop said no don't do that the gears will burn up. I know I never would have let my diff leave my garage with the specs it has.... pathetic. The ban-aid idea I've been toying with is running a 75/140 gear oil to help with the excessive B/L our diffs have. Where are the in-house ones made? IIRC it was India. I was not thrilled. Just remember there are two part # for our shafts. One is a bit longer which I orignally ordered. Those did not have the studs. Then when I swapped them out with JEGS/Yukon the correct shorter length shafts came with studs. jackgraves any long term update on the 2-pc shaft? My yukon shafts came with OEM wheel studs already installed. So I had to sell my wheel studs on Ebay. 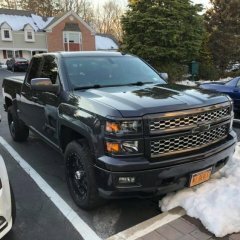 Just realized that in 2018+ GM offered a 3rd row delete option on what is in essence an LS work vehicle. I would love to delete the unusable 3rd row seats out of my '19 Z71 which has the 2nd row bench. It's odd how the cargo floor is raised up. Lowering the floor and deleting the 3rd row seats would be an awesome kit I would want. Has anyone seen a kit, or tried the LS parts in a LT/LTZ? Well the gas pedal in my '14 Silverado flexed and had a delay to it. I was the one who started a pretty good size thread about shimming the gas pedal to at least eliminate the flexing of the bracket. And the 6spd trans in my '14 was always lethargic feeling in traffic. Driving my wife's new '19 with the same 5.3L and same 6spd trans and same 2spd T-case... The gas pedal is very responsive and the trans shifts so much faster. So I bought a first year K2XX truck and a last year Tahoe.... I can tell the differences. Well I pulled the trigger today. Brought home a '19 Z71. 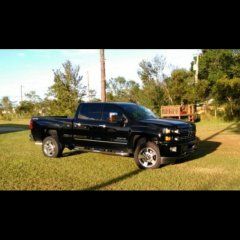 Comparing it to my '14 silverado it feels like GM took my gas pedal fix thread to heart. The gas pedal feels awesome! And the 6-speed trans feels much quicker in the Tahoe compare to my truck. Rides smooth and no buffeting or vibrations noticed on the test drive or day 1. I've RFB'd my tires and still have it. But then again I have E Load 10 ply Ko2's. The RFB machine was int he 28-32 Lbs of force. IIRC the TSB is like 15 #. We worked out butts off to lower the force numbers with no avail. Nature of the tire. Well I appreciate the input guys. We'll make sure to take it out on the hwy and around town to see how it does. We're pretty much sorted out with the dealer for Sat morning. Should be a test drive and paperwork. Hey guys and gals. I'm from over on the K2XX truck section. 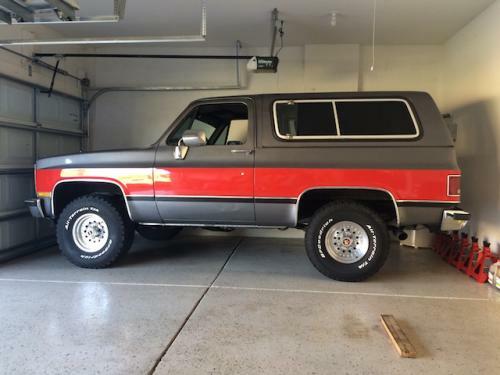 I'm on the fence about buying a new '19 Tahoe Z71 for my wife. I know all the pitfalls with the truck, I've been trying to educate myself with the SUV variation for the past few weeks. Potential issue # 1: Roof buffeting. This seems to be the most popular "issue" with the K2XX SUV. From what I gather, it affected the earlier years more. Have not seen anyone with an '18 or '19 complaining of this. Is this "fixed"? Potential issue # 2: Chevy shakes. I've thrown quite a bit of money, time and work at my truck battling the rear end vibration. I've done Yukon axle shafts, took the driveshaft off and had a local shop balance it. RF balanced (witnessed) the tires. Much better than before but over 75MPH there is a slight vibration that remains. Do the SUV's suffer from the same issue? I do not, will not, own two shakers. Anything else I'm missing? I'm looking at a '19 Z71. 3.42 gears. 5.3L with the 6spd. 4WD with the 2spd T case and Auto 4wd. Same drive-train as my '14 Silverado. Thanks in advance. G80 Locker on '19 Z71? Dealer sent me a pic of the sticker. It has it. I have loved my G80 on my '14 silverado. Works great on the job sites. I've had detroit lockers F&R in other rock crawler rigs. My K5 right now has a true trac in the front with Yukon axles. I'm getting ready to build the rear axle in about a month or two and doing Yukon shafts and a Detroit. Just have to understand the limitations the G80 has. It's not a beat the crap out of it kind of part. I've built a tahoe online at Chevy and cannot see where they call out a locking differential or G80. I see the GU6 3.42 gear code and Z71 pacakge, but nothing for the G80. So the question is, if I find a '19 Tahoe with the 4WD, Z71 3.42 gears, does that include a G80? I would think so for pete sake. Took it out for a spin this afternoon... back to dragging. Replaced the Caliper with a NAPA unit. Drove it for 45 minutes, fixed. Worked my way to the more expensive part I guess... At my next oil change I'll swap the pads out to GM OEM and update the slide pin boots and rattle clips on the passenger side so my OCD is satisfied.